For my time as a Wabash employee it is goodbye. For my return to the being the regular Grunge, it’s hello. First of all, many thanks to the 10 faithful readers of the blog, especially Scott Medsker’s mother! Every time I thought I was just wasting my time, one of you would send me a quick note or comment. You kept me going. I had the “opportunity” to put it all in perspective a couple of days ago. An alumnus called the main switchboard here and asked to be transferred to me. The student had no idea who I was…the alumnus had to spell my name. That’ll take the air out of your sails! Or make you realize we’re all just passing through. And that our college is about those young men…not us. So, this is it. The last Grunge Report. I have many people to thank for their support and guidance during my time here. The list is long…I am not going to name names for fear of leaving several out…I hope you know who you are. I do want to say THANKS! to my bride, Carol. Just as she did when I was on active duty, she rolled up her sleeves and jumped in completely. All of those away game tailgates? All her. She is truly a jewel! I know now that I stayed too long. But, there are no “do-overs” or “take it all backs”- it is what it is. Steve Hoffman will do a great job, no doubt. All I ask is that you give Steve and Dawn the same great support you offered to Carol and me. Check 6, keep your speed up and the pointy end forward. WAF! Even before Savannah State announced their new coach, Wabash knew exactly who they wanted to be our next head coach…Don Morel. Coach Morel makes the move from Offensive Coordinator and sidelines leader to the boss. You can read the web story here. All the logic makes perfect sense…you get that. NO need to cover ground you already understand. Here’s the Grunge’s take. As Aaron Selby ’06 reminded me yesterday, good friend and former AD Tom Bambrey ’68 used to say to a lot of football questions “there will be football in the fall”. 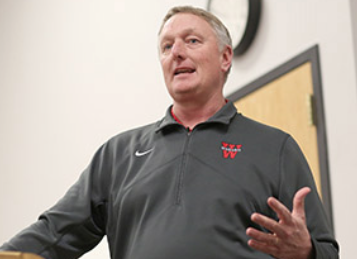 I’ll make one slight change: There will be good, fun, successful Wabash football in the fall. Can’t wait…see you at Albion on September 3, 2016! The last stop on the Glee Club tour was Memphis, TN. 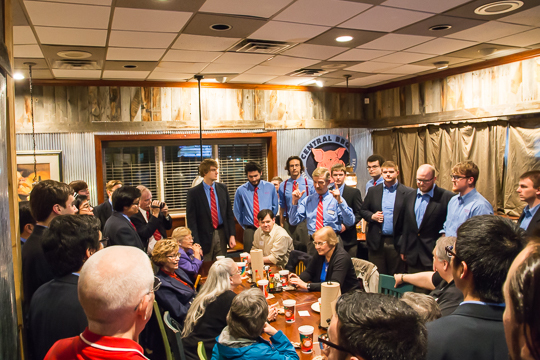 On Thursday, March 10, the crew had dinner with some local alumni at Central BBQ. It was a great combination – casual atmosphere and some great BBQ. 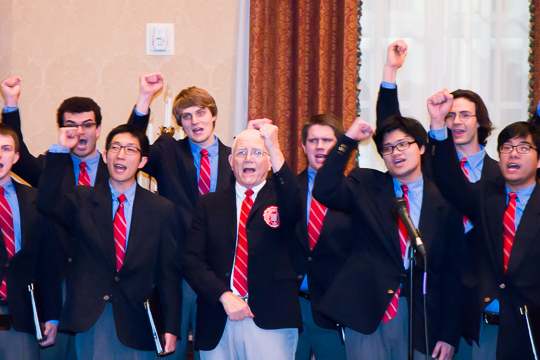 Of course, no Glee Club dinner is complete without a little singing and Memphis was not disappointed! By this point in every spring break tour, they all have the same cold and they know each other like brothers. They didn’t let the constant rain dampen their spirits. For Nashville photos, click here. For Memphis photos, click here. 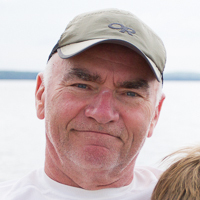 Bill Berry ’66 Is In The House! Richard Bowen, our director, made sure Bill was right there for “Old Wabash” and “Alma Mater.” Bill boomed it out just like one of the guys. Bill is the only Big Bash Chapel Sing leader to hold a perfect 2-0 record. He’ll put that on the line this coming June at his 50th Reunion when he goes for an unheard of 3-0. 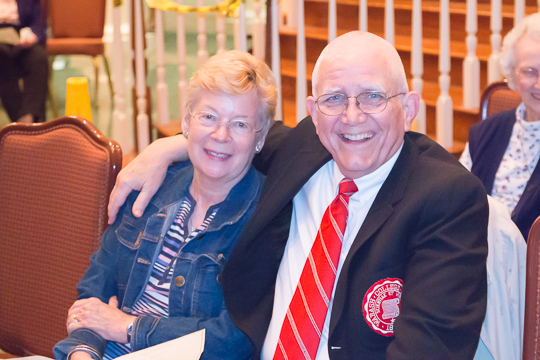 It was great to see Bill decked out as a Glee Clubber from the 1960s…and, YES, that’s his blazer for his student days. 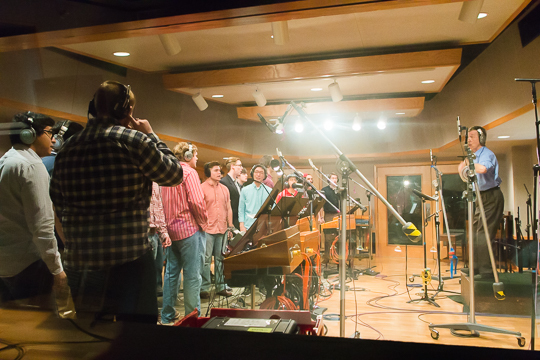 Caught up with the 2016 Wabash Glee Club Spring Tour at Ocean Way Studios in Nashville – what an opportunity for our guys. 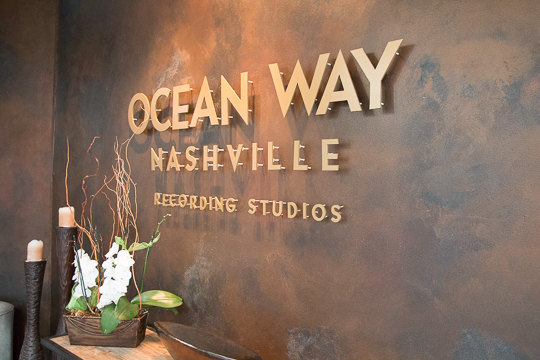 There are two studios at Ocean Way, a famous Country singer was in the other one! This wasn’t just a “swing by and see what it’s like” – our guys were in the Studio of the better part of a day and walked away with over a dozen digital cuts. If the Grunge is savvy enough, you’ll see a couple of videos on You Tube when I get back. The controls are nothing short of amazing. 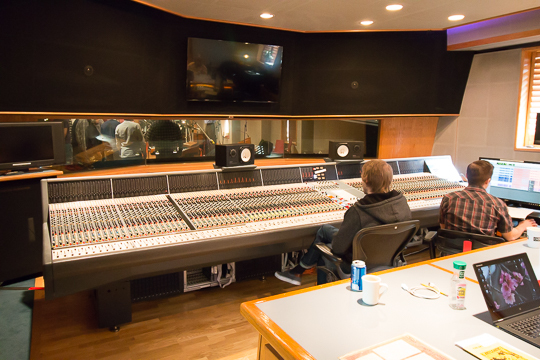 The team there could play back a recording in less time than it took for them to come into the Control Room! It was a great experience for our guys…and for the Grunge as well. 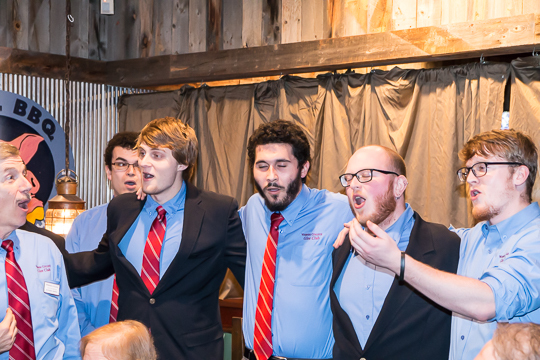 The Glee Club is headed to Nashville and Memphis over spring break – the Grunge will join them tomorrow. 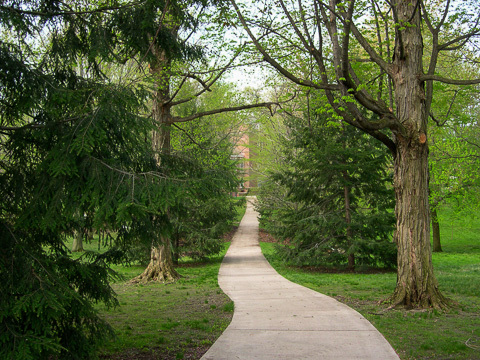 The group will gather with local alumni on Tuesday and Thursday evenings for dinner. 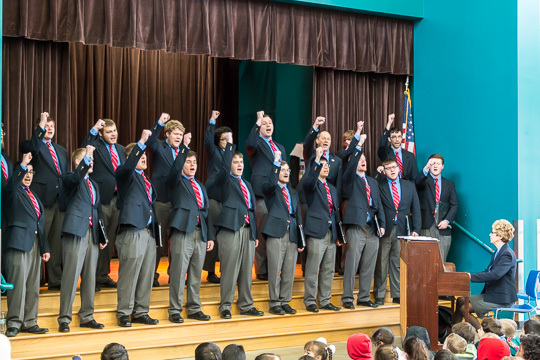 The Glee Club tours are always a lot of fun. 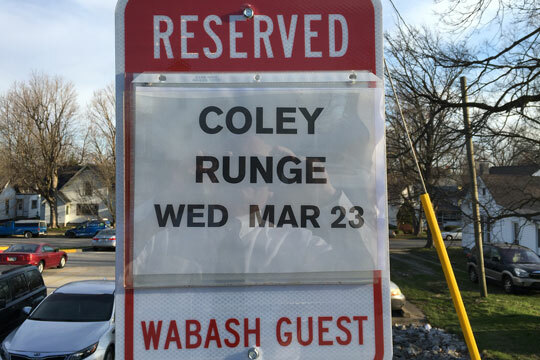 They are superb ambassadors for Wabash as I have said many times before. 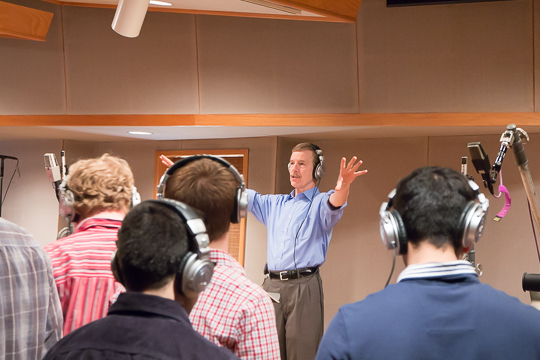 I know Richard Bowen likes to get them into schools as well so the students can see them perform…and maybe think that Wabash might be the place for them in a few, or more than a few, years. Many thanks go out to Ben Whitehouse and Tim Doyle for helping set up the dinners in Nashville and Memphis. 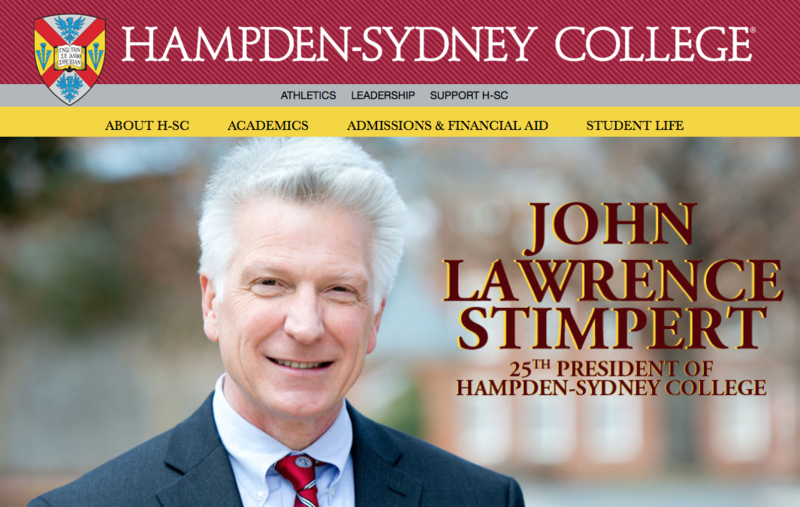 Hampden-Sydney College has announced their new President. You’ll never guess where he’s leaving. On a serious note, we wish him the best! This is going to be a great event. The Bachelor staff has put together a star-studded lineup on something of interest to all Hoosiers. 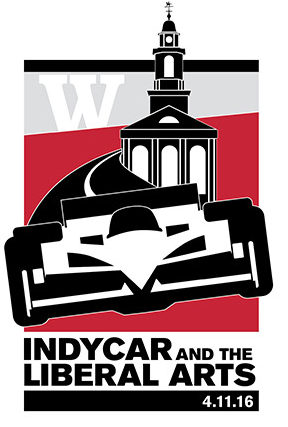 “The panel’s moderator will be Chris Denari ’83, the long-time turn 4 announcer for the Indianapolis Motor Speedway Radio Network and TV voice for the Indiana Pacers. Here’s all the information. Make plans now to get to campus for this event.